UFC announcer Bruce Buffer will be yelling, “And new, interim heavyweight champion of the world…” tonight at UFC 180. 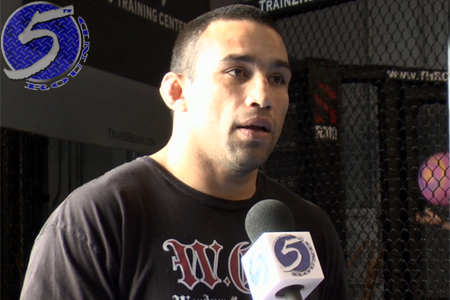 The question is, will Fabricio Werdum (pictured) or Mark Hunt’s name be the next words out of Buffer’s mouth? The Gambling Gods believe it will be Werdum. The Brazilian is a 4-1 odds-on favorite to collect the UFC’s manufactured belt. Hunt, meanwhile, checks in as a 3-1 underdog. Arena Ciudad de Mexico in Mexico City, Mexico hosts Saturday’s show.